With your subscription, you will get a customized version of GrabIt newsreader. 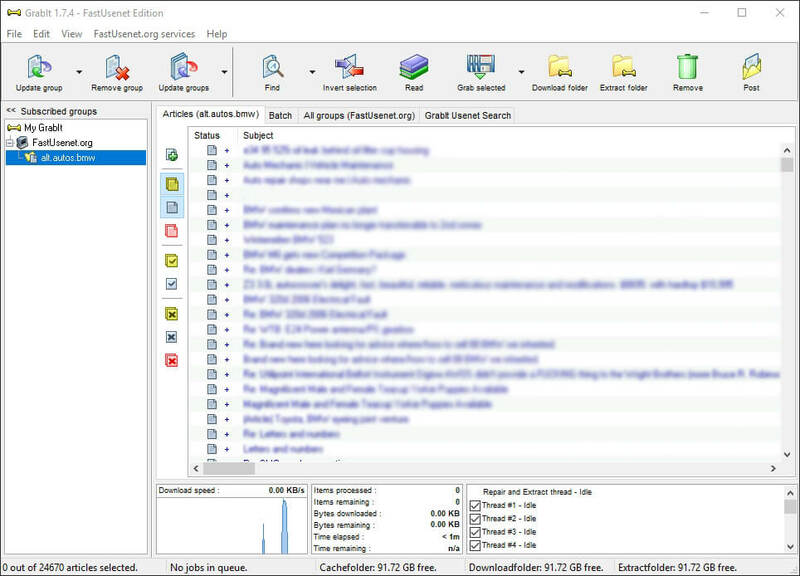 Our customized edition of GrabIt includes unlimited search. Unlimited search is a $25/year value. GrabIt allows you to easily search and view content on the newsgroups. 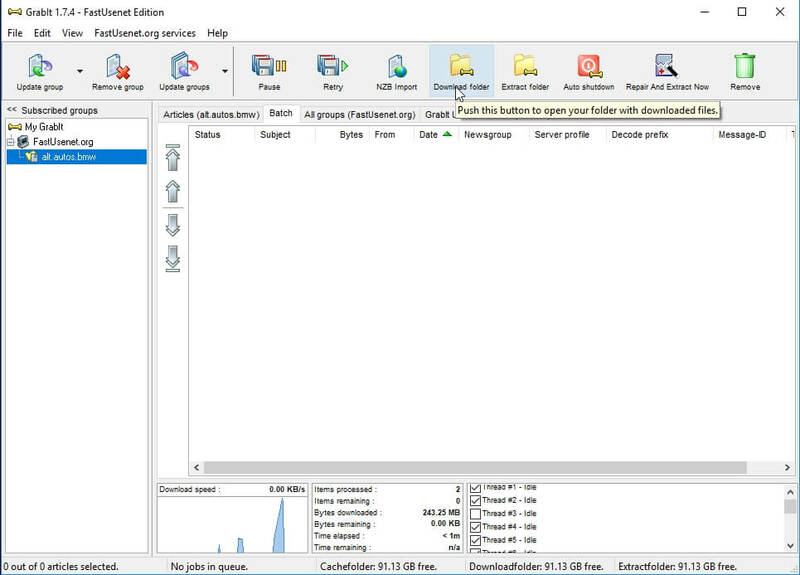 The Fast Usenet Edition comes configured so setup is fast and simple. The following video tutorial demonstrates how to download, install, and configured GrabIt newsreader. You will also learn how to use the global search feature which makes locating information on Usenet easy. Download the setup file from the members area. After the download has completed launch the installer. Click "Next" to view the License Agreement. Read through the license agreement and if you agree with the terms select "I accept the agreement" to continue setup. Select the installation location. This is where the installer will place all the required GrabIt files. Now you can edit the "Start Menu" entry, or leave the default value. Now you can assign the installer additional tasks. 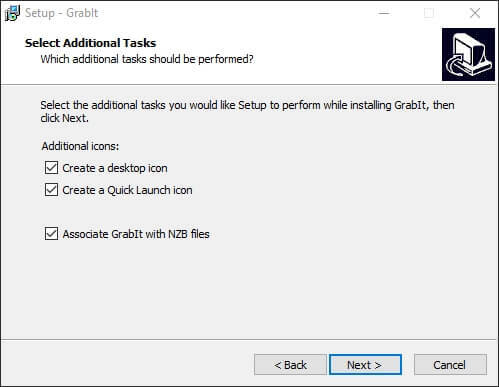 You can create a desktop icon, create a quick launch icon and "Associate GrabIt with NZB files". 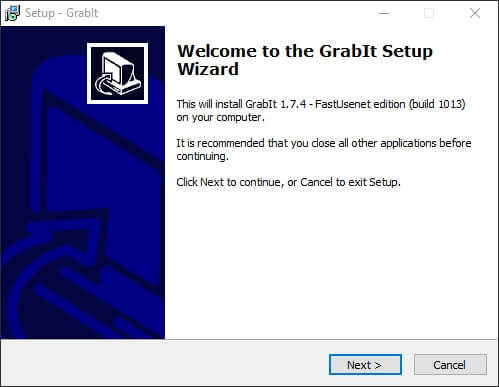 If you associate GrabIt with NZB files Windows will make GrabIt the default application for opening NZBs. Now double check your setup details and if everything looks good you can click "Install" to start the installation. The setup is now complete and you should see a new icon on your desktop that you can use to run GrabIt. If you don't see a desktop icon you can alternatively click the start menu and locate the GrabIt entry from there. 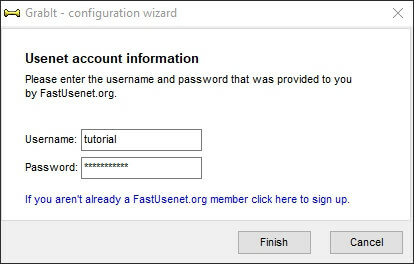 When GrabIt opens for the first time enter your Fast Usenet username and password. 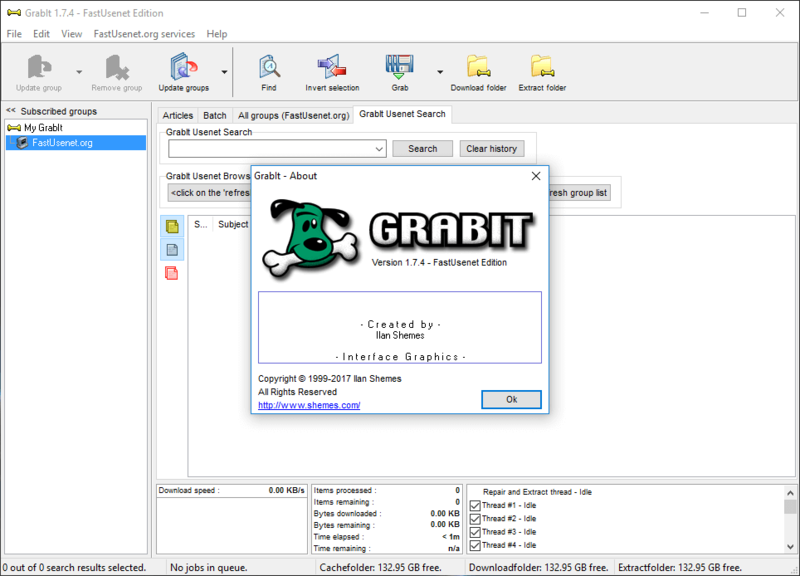 After the credentials have been entered GrabIt will connect to our Usenet servers and download the latsest newsgroup list. You can use the group search to help find the newsgroup you are looking for. In this example we are going to search for the word "BMW". GraIt will now only display the newsgroups which contain the word "BMW". After locating the group you want, right click and select "Subscribe". After subscribing to the newsgroup, it will appear in the right menu of GrabIt. To update the newsgroup right click on the group name and select “Incremental Update”. 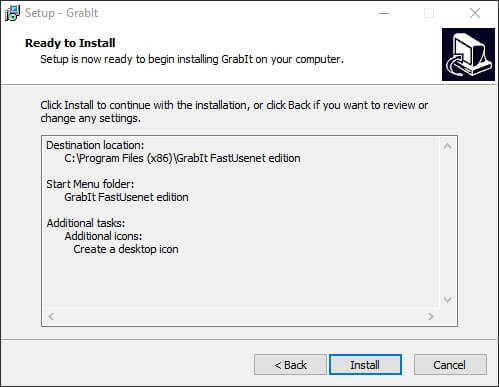 GrabIt will then connect to our server and download the latest articles. After the update has completed you should see the articles in the main window. You can now browse through the articles. Once you’ve located an article you’d like to view simply double click it and GrabIt will pull the article down from our servers. If you would like to use GrabIt to download with an NZB file click on the “Batch” tab, when the top menu has loaded select “NZB Import”. The NZB import menu will appear. 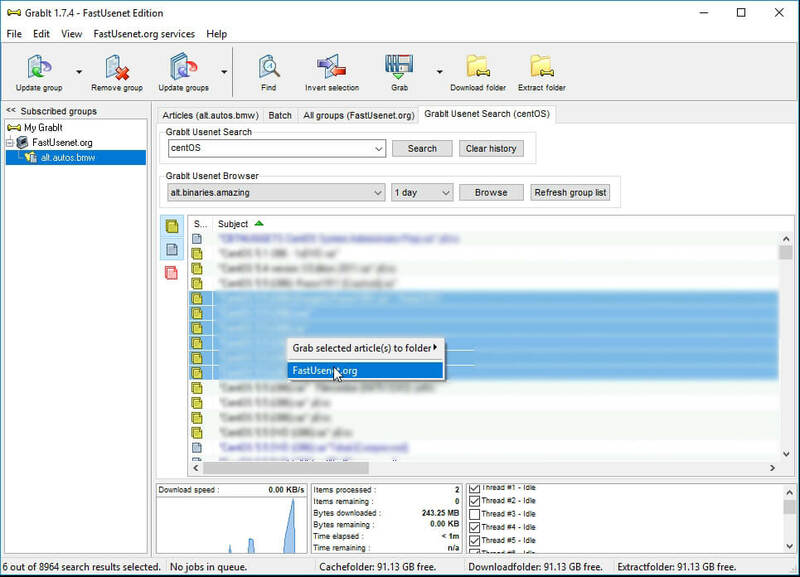 Click Add, locate the NZB file on your computer, now select “Grab”. The NZB file will be imported and added to the “Batch”. The articles are imported from the NZB file and loaded into the GrabIt download queue. 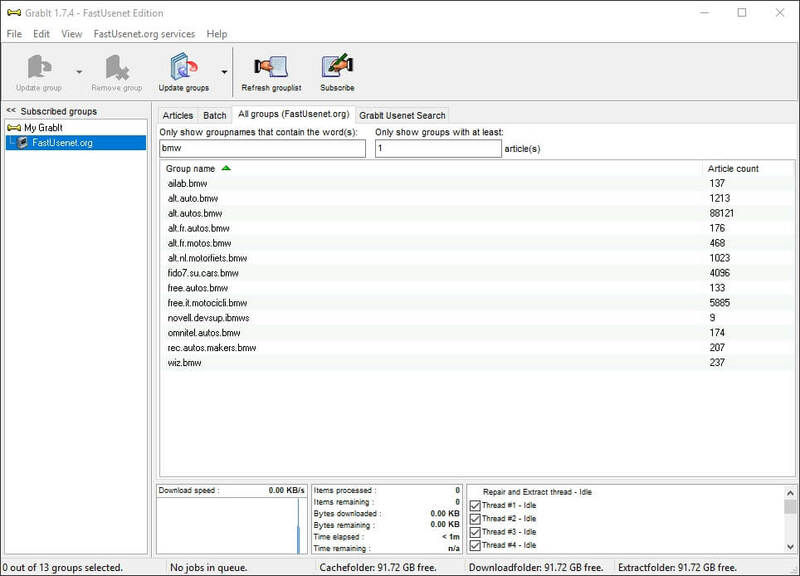 To use the search feature select the GrabIt Usenet Search tab. In the search field enter what you are looking for. Click on “Search”. The window below will populate with your search results. To download the articles list in the search results field below simply select them, then right click and choose the server name which should be FastUsenet.org. The select articles will now be added to the batch for download. After they have completed select “Download Folder” from the top menu to view the download folder in Windows. Now that you know how to use GrabIt. Signup for Fast Usenet!